Every once in a while I go off topic and share a bit of my passion for cooking. This holiday season I had one of those experimental moments. 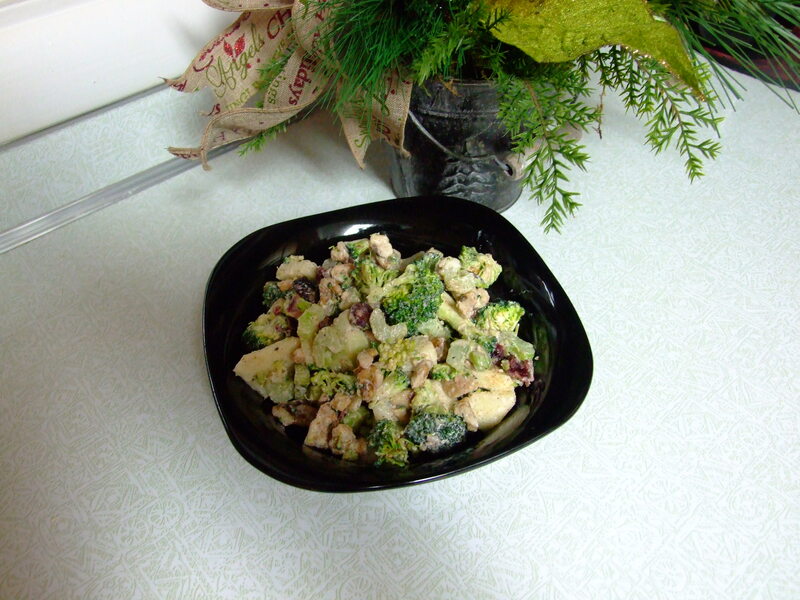 I came up with this wonderful broccoli salad. Cut up broccoli, celery and apples ( I used Granny Smith) into bite size slices. Coarsely chop nuts. Cover cranberries with warm water and let stand to soften a bit. Drain and add to other ingredients. Dressing- combine mayonaise, lemon juice, sugar, pepper, nutmeg and cinnamon. Toss with salad ingredients. Everyone that has tasted it thinks its great. I keeps well in the frig. I like to eat it as a snack during the day. 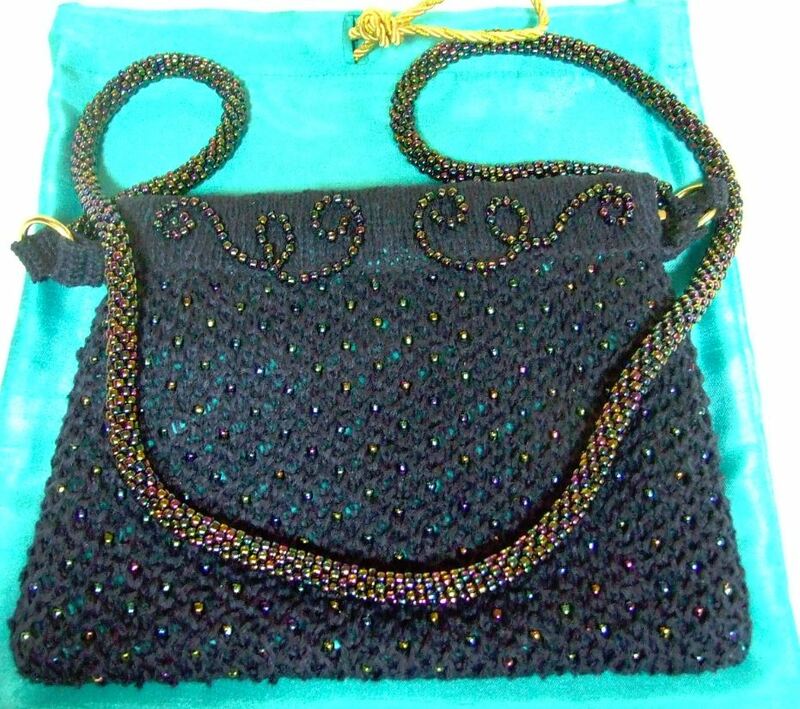 This past year I decided to create beaded evening purses for each of my grand-daughters for Christmas. As both of them are quit young, grandma might not be around for their especial events, or if I am, the fingers might not be working as well as they do now. 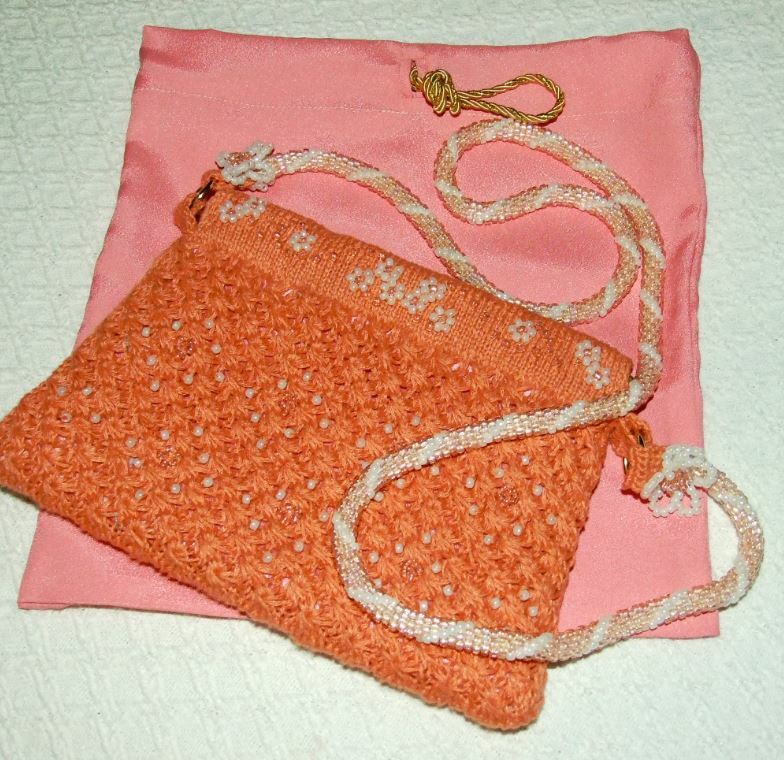 Both of these purses were constructed on a circle needle. 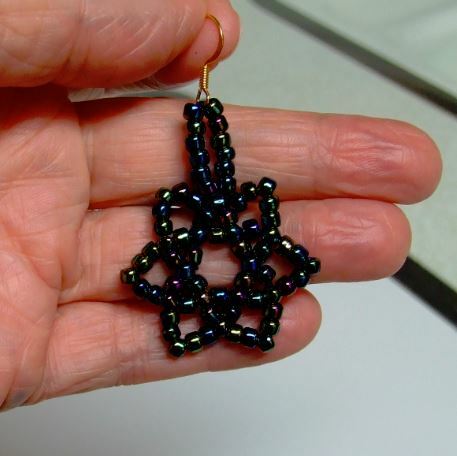 The first one is modeled with a Honeycomb stitch pattern as I did in the first beaded bag I posted. 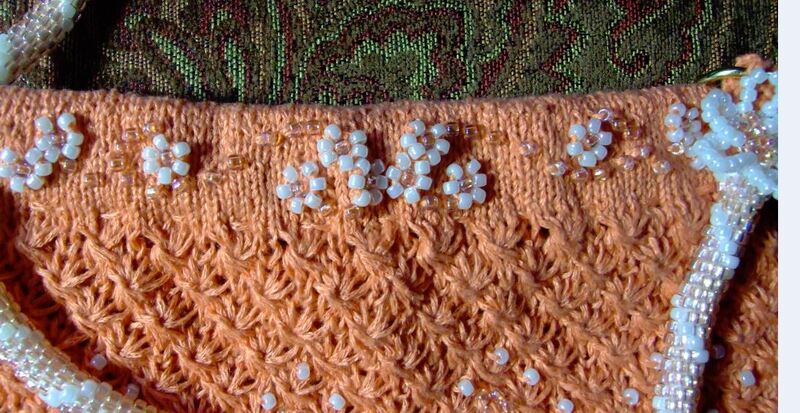 This time I scattered the beads on the body of the purse, and saved the fancy beading for the casing area. As you can see, the shiny side of the lining shows through a bit. Although the photo doesn’t do it justice, you get the idea. 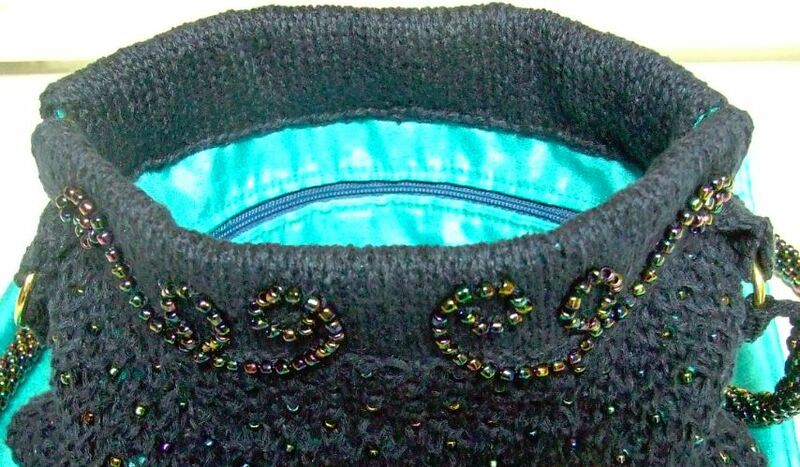 I used round gold rings to connect the beaded strap, crocheting the tabs into the casing. 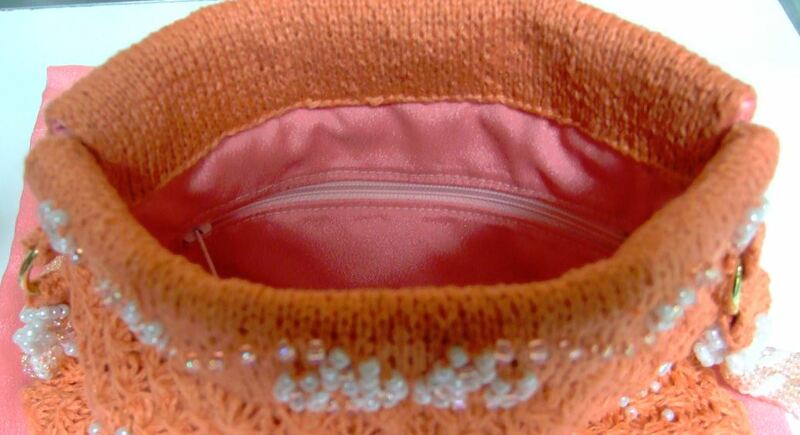 This photo shows light reflections on the inside which are not in the lining, but it does show the construction of the zipper pocket. This navy purse is very hard to photograph, but you can see the design on the casing. 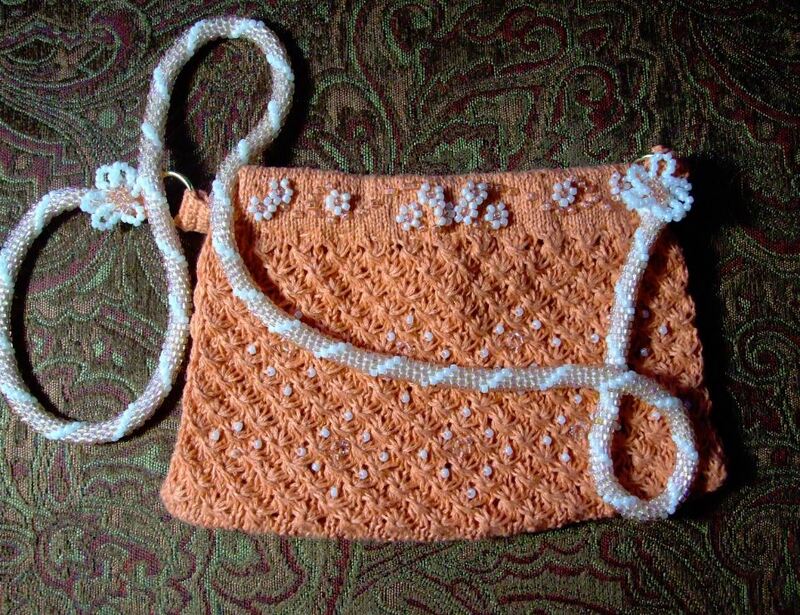 The second purse is created with the Daisy Flower stitch. I used my beads to form a diamond design on the body, and did some filigree and daisies on the casing. You will also notice that I used a pearl bead every fifth bead in the strap. Swatch for you gauge, and then go for it. Just to keep them in min condition I made bags out of the lining. I will be posting the beaded Daisy stitch chart after the holidays. My next addition to this project is to make earrings to match. 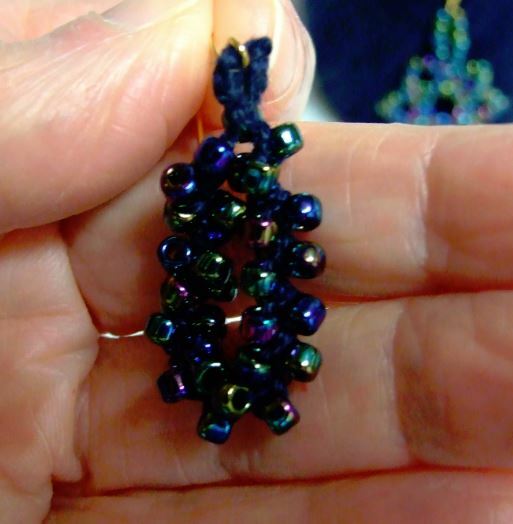 My source for this idea was “Bead Allure” upload to my kindle for Amazon. This next one I crocheted with the lace weight yarn used for the strap. I finished the top by needle tatting a circle.